TIANJIN, China, Nov. 21, 2018 /PRNewswire/ -- Co-sponsored by the Ministry of Culture and Tourism, Tianjin Municipal People's Government, and Tianjin Tourism Bureau, the 2018 China Tourism Industries Exposition was held in Meijiang Convention and Exhibition Center from November 9th to 11th. 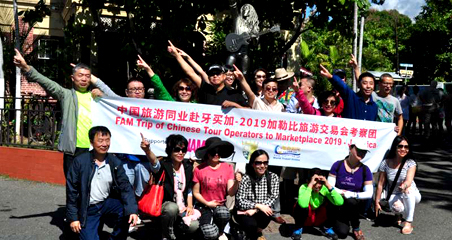 The China Tourism Industries Exposition, with the theme of "the event of tourism industry, the stage of cooperation and win-win", built a cooperation platform for the tourism industry and tourism equipment manufacturing industry. Several seminars on the innovative development of city tourism, the internet and big data were held during the exposition to seek more cooperation opportunities and to improve the development of the tourism industry. Plenty of events including an open class of the China campsite industry and a promotion event on travel routes and destinations were also carried out to cultivate new tourism formats, increase new tourism hotspots, promote regional and international cooperation in the tourism industry, and enhance the visibility of China's tourism industry. With an exhibition area of 50,000 square meters and 3,000 standard booths, the exhibition was divided into 7 themed sections: tourism exhibition of different provinces and cities; exhibition of cruise ships, yachts, limousines and camping facilities; international tourism exhibition; "Belt and Road" tourism commodities exhibition; hotel and travel agency products exhibition; "tourism +" industry product integration exhibition; and exhibition of tourism innovation projects. 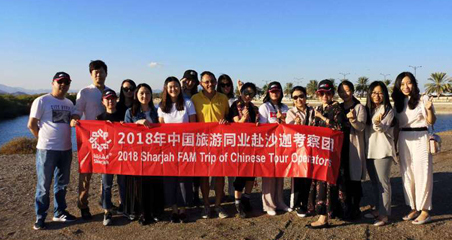 The China Tourism Industries Exposition has been successfully held nine times since 2009, with 1.7 million visitors from more than 80 countries and regions and delegations from 31 provinces, autonomous regions, and municipalities. The exposition was an important measure to promote the continuous integration of tourism-related industries and implement the "Belt and Road" initiative and the coordinated development of "Beijing-Tianjin-Hebei". 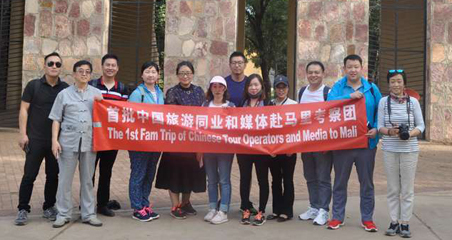 In recent years, the Tianjin Tourism Bureau has made new attempts to seize the trend of overseas new media and continued to work hard to make Tianjin an international tourism city.